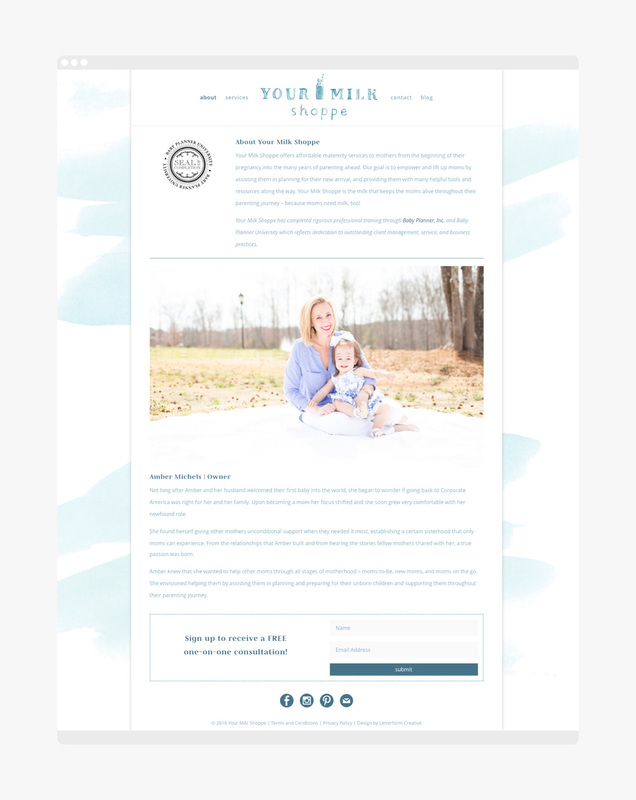 I recently wrapped up the branding and website design for Your Milk Shoppe, an up-and-coming business in Greenville, South Carolina. Your Milk Shoppe offers affordable maternity services to mothers, beginning in their pregnancy and into the many years of parenting ahead. Owner, Amber Michels, initially approached me in need of a business card for her new business. The project quickly grew to include an updated logo, submark, postcard, rubber stamp, and eventually the design of her website. The overall vision for the brand was to create something soft, comforting, and inviting to mothers. I loved working on this project and can't wait to see this awesome brand grow. If you're a South Carolina Mom curious about their services, or if you'd just like to see the live website, you can view it here!